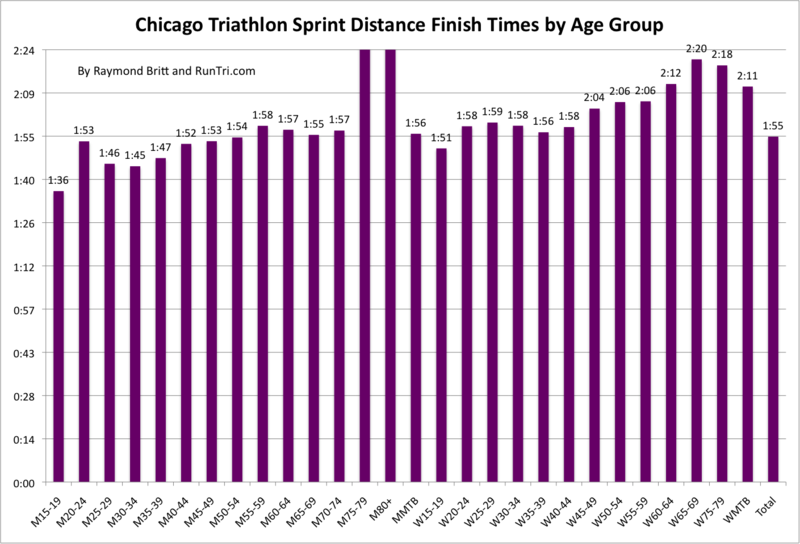 Thousands of determined triathletes swam, biked and ran through Chicago to cross the finish line both exhausted and excited. Despite the bright sun and blue skies, it was a tough day on the course, from choppy water in Monroe Harbor to strong winds on Lake Shore Drive. Overcoming these challenges should make all finishers feel even more satisfied with their performance. 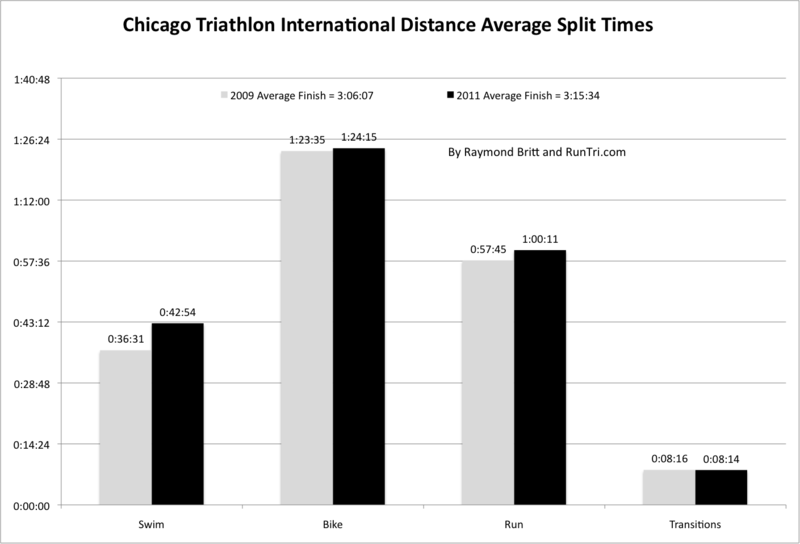 Our results analysis is below; for everything else you need to know, see our Complete Chicago Triathlon Coverage. 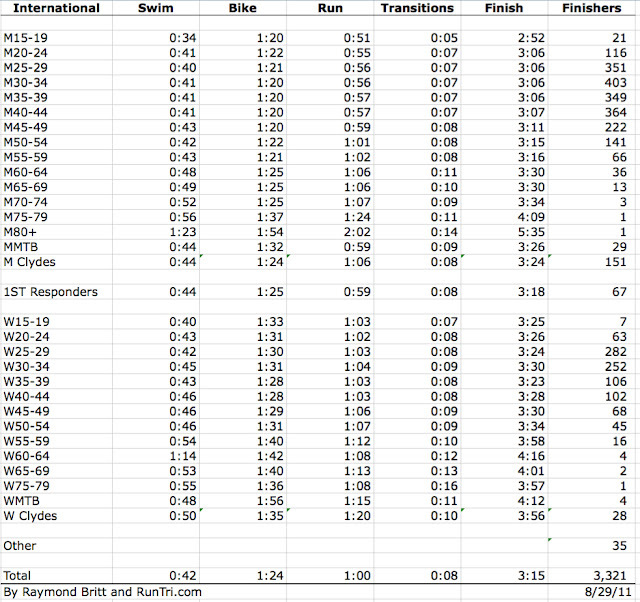 More than 3300 triathletes completed the international distance event in an average time of 3:15. If you did as well or better in at least one of these categories, consider your day a success. Congratulations. 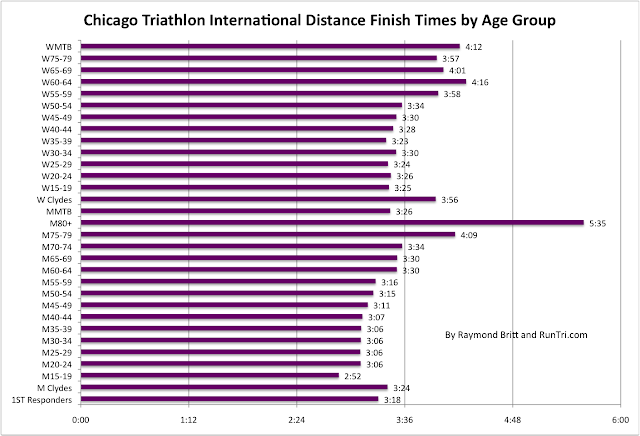 Nearly 1900 triathletes competed in the Sprint division, finishing in an average time of 1:55. 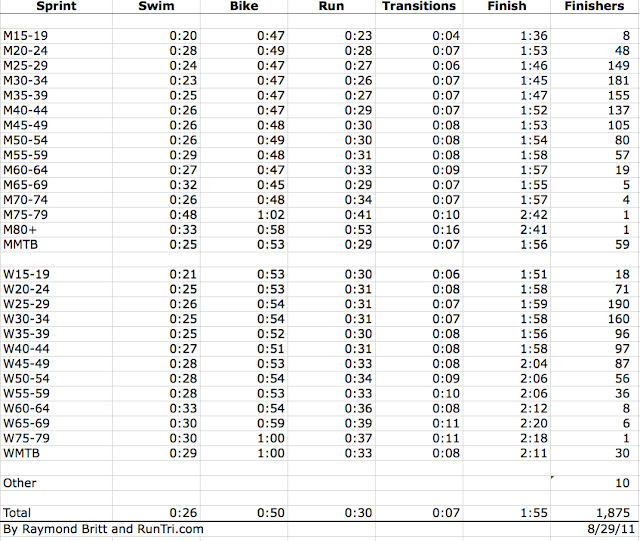 Sprint competitors faced the same challenges in the water and on the bike course, and should similarly be proud of their finish times. 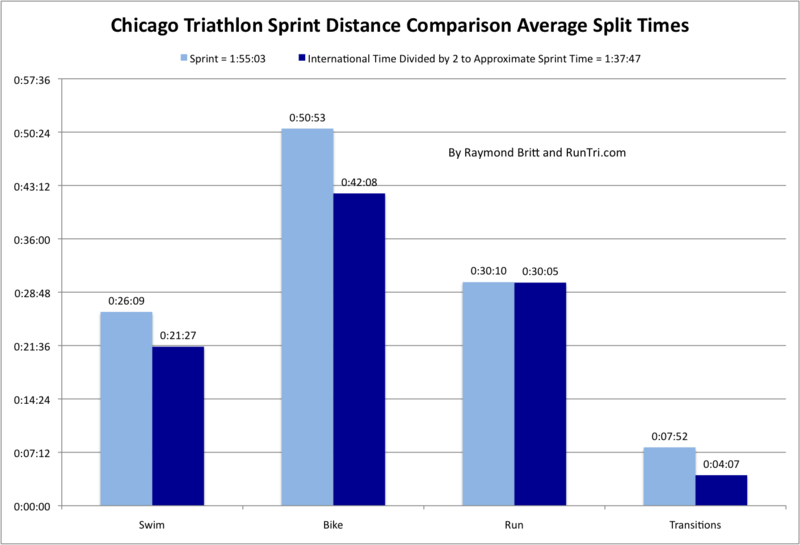 Of note, the mayor of Chicago, Rahm Emanuel, slipped into the sprint distance competition. How do his results compare? Look at our Rahm -- Triathlete Analysis. 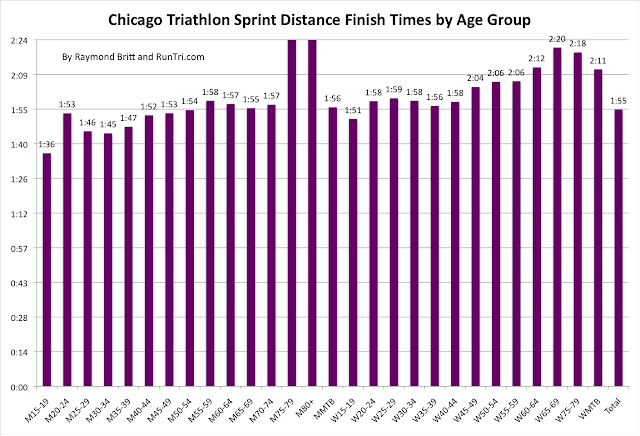 For details, advice, results, photos and more, visit our complete Chicago Triathlon Coverage.